In addition to pocket watches, which generally were large, there also was a market for ladies’ pendant watches in the 19th century. 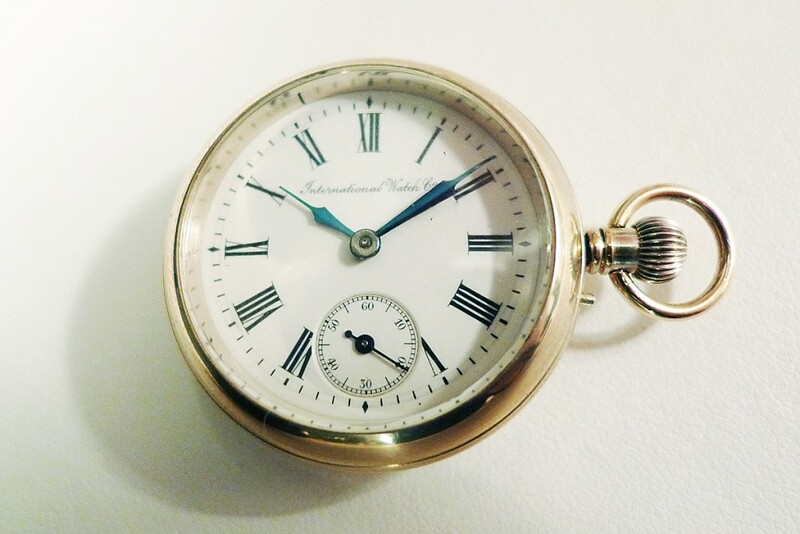 To meet this market, in the 19th century IWC produced two relatively small movements, Calibres 63 and 64. Calibre 63 was a Lépine movement, while the companion Calibre 64 was a Savonette or “Hunter” style with the crown at 3 o’clock. In many respects, these movements look like miniaturized Calibre 52 or 53 movements. Calibre 63 is described as a Lépine à poussette, which means that the movement is set by using a pusher, which sometimes is called “pin set” . Unlike modern watches, the crown does not extend to set the time. Instead, a small pusher is depressed, which disengages the winding mechanism and allows the crown to move the hands. The Calibre 64, being a Savonette model, is called a Savonnette à target”, where a slide or lever is used instead to set the mechanism. Used in watches with a cover, the slide would work only with the cover open as a safety mechanism. Calibre 64 usually was 12 ligne (26.5 mm) in diameter and with a height of 4.1 mm. 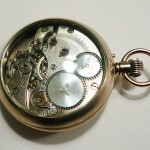 It had a typical pocket watch oscillating frequency of 2.5 Hertz (18,000 halfbeats per hour) and a Breguet overcoil balance spring. 15 or 16 jewel versions were made. The Calibre 64 enjoyed a long production life, from 1893 to 1917. A total of 41,440 were produced, but many were also used for wristwatches as they became popular in the early 20th century. 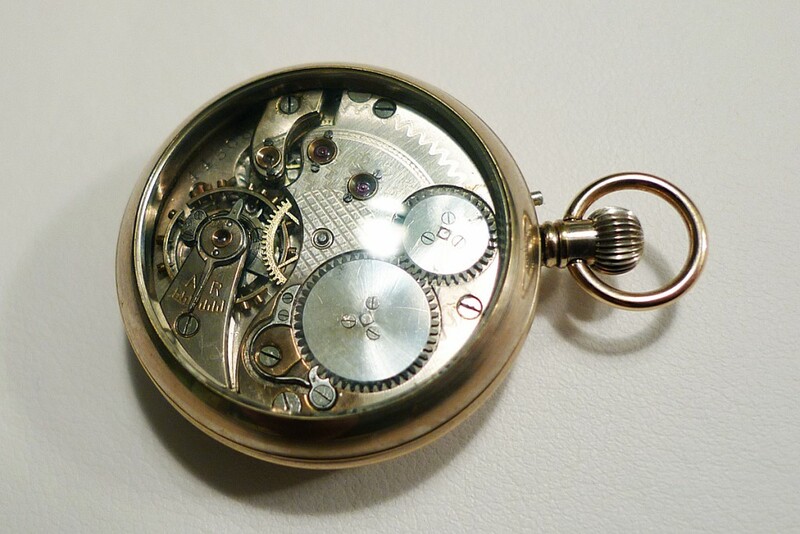 However, early wristwatches with Calibre 64 movements often are later conversions from hunter-cased pendant watches. Shown here is a Calibre 64 watch but without a front cover despite being a Savonette design. One can see the pusher mechanism for setting the time right below the crown at the 4 o’clock position. 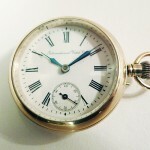 The dial is classic 19th century with Roman numerals.